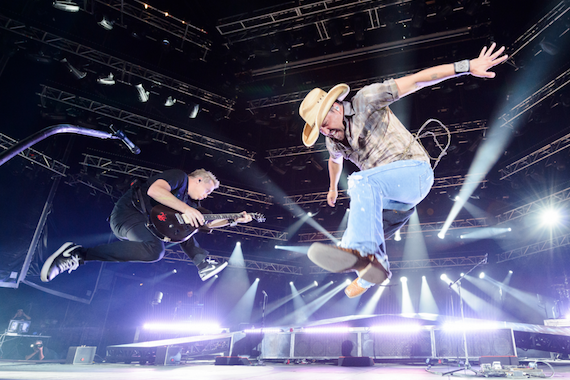 Jason Aldean’s upcoming tour stop in Chicago will be filmed for a two-hour CMT special titled Concert of the Summer, a new franchise for the network. Thomas Rhett, A Thousand Horses and surprise guests from Chicago’s Windy City LakeShake festival will also be featured in the show. Aldean’s Six String Circus Tour launches Thursday, May 19, in Rogers, Arkansas. He is scheduled to headline Windy City LakeShake on June 19. An air date for the special has not been announced. Each year, CMT will proclaim one festival or event as the year’s concert of the summer and film it for television, online and social media.